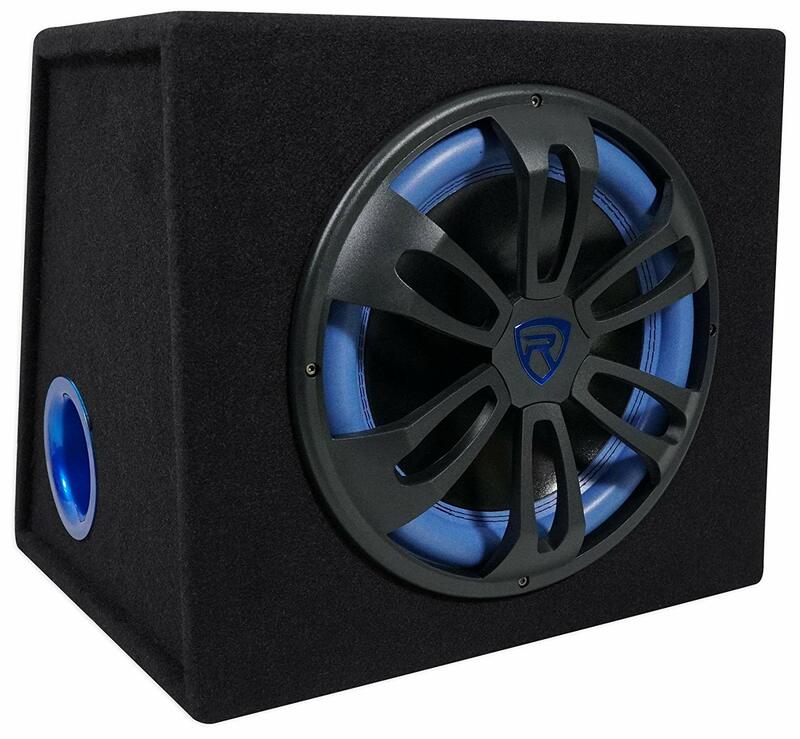 In this review, we will feature best car subwoofers which can deliver deep and very powerful bass response for the cars and which are the best bass boosters for the car audio setup. 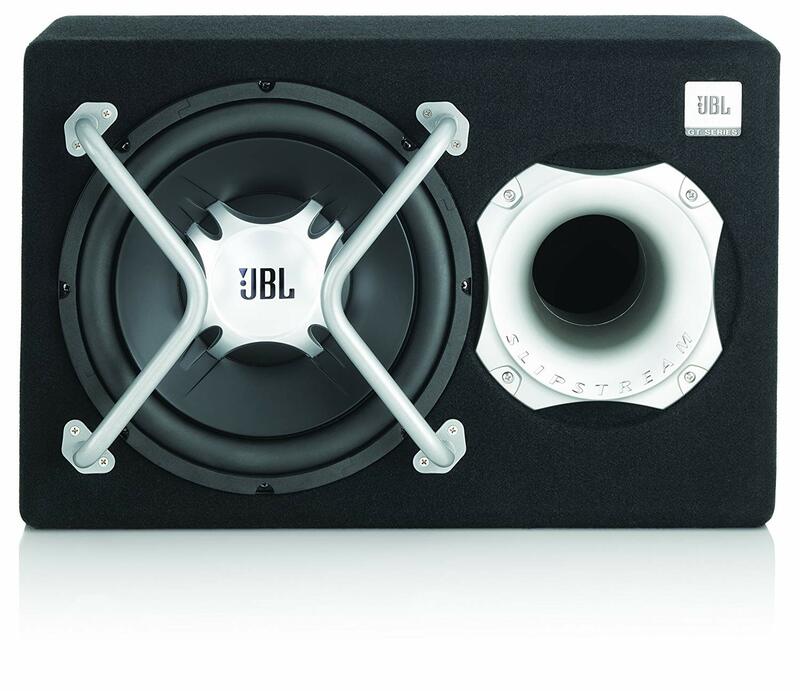 These car subwoofers have been made to provide thumping bass which is going to transform the car listening experience with solid and loud beats which are enjoyable. They perfectly complement the car stereo systems and specifically amazing for the bass-heavy music genres including rock and hip-hop with the bassy beats. Also, they have been designed compactly and also built for durability with the solid enclosures. Here are the top ten best car subwoofers in the year 2019. 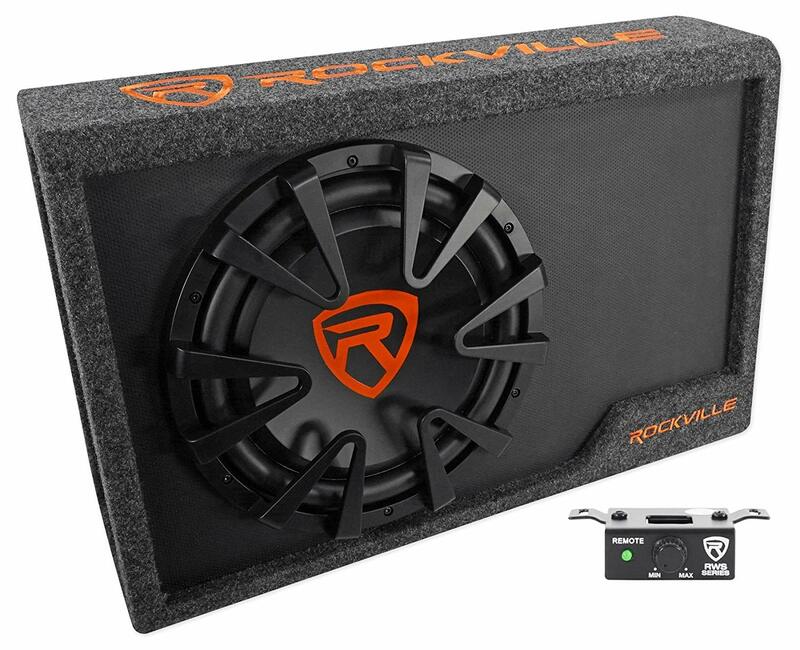 Rockville RVB 12” offers you everything that you would want from car subwoofers. It has a hatchback style, and it easily fits among the back seats. With these car subwoofers, you can expect more bass in the car. The installation process is very quick, and you will not have a problem doing it. Nominal Impedance: Single 4 Ohm. Frequency response: 30 – 150Hz. Vibration: Anti-vibration well-braced MDF cabinet. Input Voltage: 100mV – 5V. • Typical installation and it tunes well after the break-in. • Installation is easy as there are instructions that need to be followed. Rockville has improved car subwoofers that it makes. This slim subwoofer does combine subwoofers with the matching enclosures as well as amplifiers for the optimal bass performance. You will have an intense bass response as a result of a durable enclosure and the mono black amplifier design. Product Dimensions: 18.2 x 10.1 x 26.5 inches. Peak power output: 1200 watts. RMS CEA rated: 400 watts. Foam: High density and laminated foam sound. Washer and Yoke Plates: 8 mm. Magnet Motor Structure: 70 oz. Frequency response: 38 – 500 Hz. Design: Black texture synthetic leather front panel. Voice coil: 2 inch high temp. • The installation process is very quick and easy. • Impressive bass and punch. Kenwood has earned reputation in the industry of making best car subwoofers. If you have limited space or you are looking to increase bass to the system you have, these car subwoofers are for you. 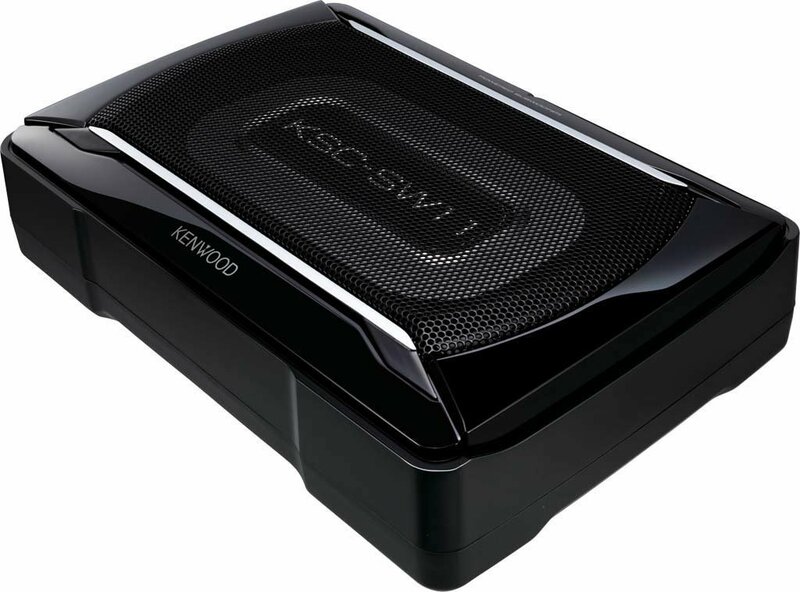 Kenwood KSC-SW11 has a compact design, and it can be added under the car seat with no much hassle. Product Dimensions: 11 x 7.5 x 2.8 inches. Frequency response: 35 – 125 Hz. RMS Power: 150 Watts Maximum. Variable low pass crossover: It is 50 – 125 Hz. Power Source: AC power adapter. Aluminium enclosure that helps in preventing rusting and also for the lightweight feel. If you need car subwoofers that will add the much-needed bass to your system or you want to alleviate the hassle of separate amplifiers and the subwoofers, this is the best option for you. It features 12-inch subwoofer in the custom sealed enclosure and has been powered by a 300-watt amplifier. Product Dimensions: 11 x 19.8 x 15 inches. Batteries: One 12 V batteries needed. Speaker driver diameter: 12 inches. Crossover Frequency: 50 – 200 Hz. Great Sound and easy to install. The closed-loop design aids in ensuring optimum performance between the woofer, amplifier and the enclosure. Product dimensions: 12 x 22.4 x 14.5 inches. Amplifier power: 150 watts RMS- 450 watts. Frequency response: 35 Hz – 120 Hz. Max current draw: 13.5 A. Input Sensitivity: 50 mA – 4V. 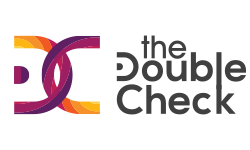 Crossover Frequency: 70Hz – 120 Hz. Design: Features the polypropylene cone and the rubber surround to offer more superior reliability and the cone resonance damping. Bass control: remote level control allows you to adjust subwoofer for maximum performance. • Loud bass with a simple installation process. • It can easily and quickly dissipate the heat. 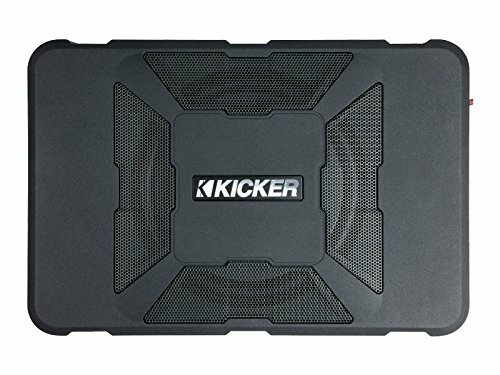 Kicker 11HS8 car subwoofers have continued to lead when it comes to the best car subwoofers in the market. It has low-frequency output from the amazing enclosure that can set a new standard in the plug and play performance. 13.8 x 9.4 x 3.1 inches. Frequency Response: 25 – 120 Hz. Input sensitivity: Low level – 125 mV – 5V while high level- 250 mV- 10V. Adds amazing low-end thump to sound. Pioneer has made car subwoofers that are compact. It has a wired remote that helps in controlling gain, low pass filter, etc. Fantastic choice for car subwoofers and very easy to wire power to sub by making use of fuse tap into the 15 amp circuit. Product Dimensions: 110.2 x 78.7 x 2.8 inches. Maximum power input: 160 W.
Frequency Response: Very Deep bass mode ranging: 20-200 Hz while the dynamic Bass Mode ranges: 40 – 160 Hz. 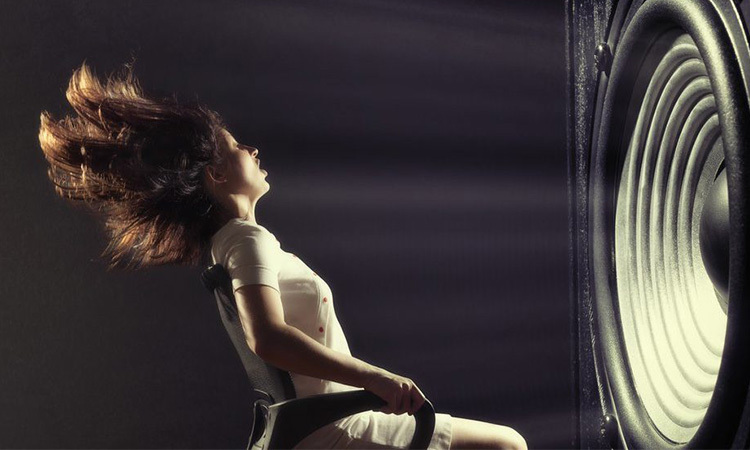 dynamic bass mode: 100 dB | Lowest resonance frequency: 32 Hz. 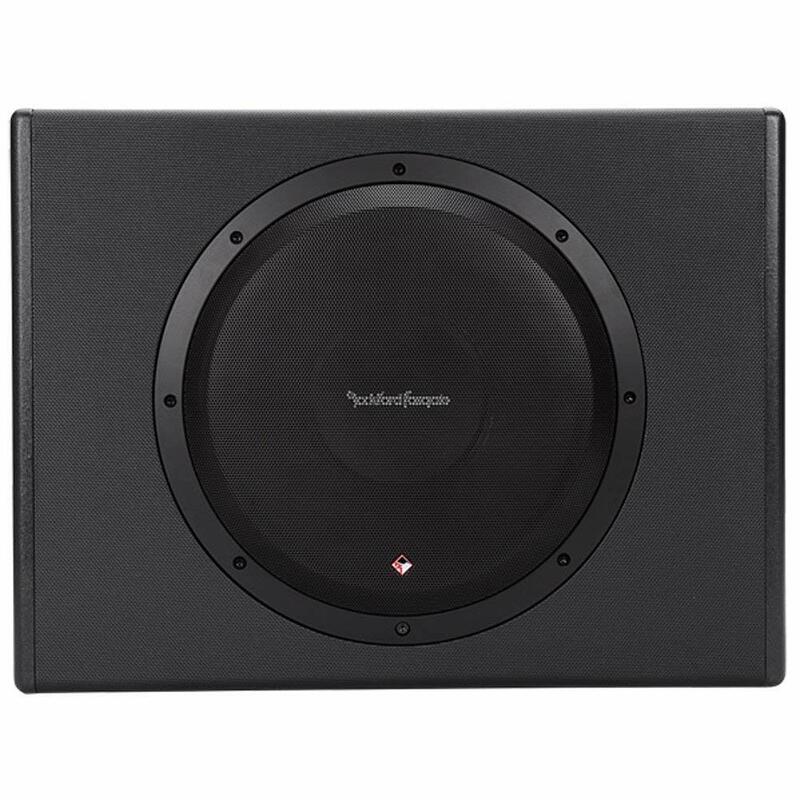 Nominal input power: 50 W.
Speaker has excellent power handling. There is no need to run separate power from the battery. 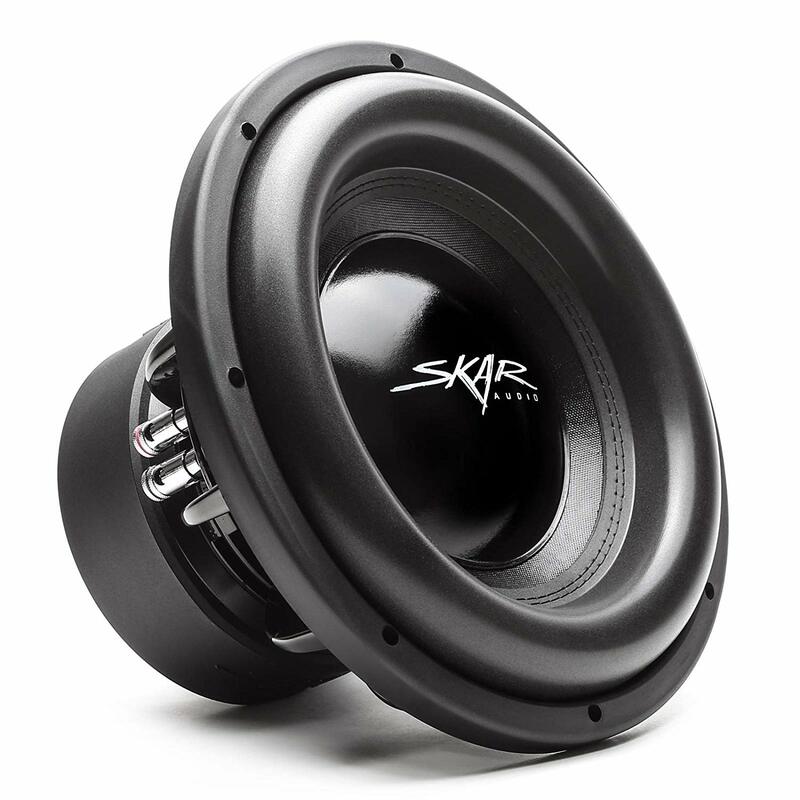 Skar Audio EVL car subwoofers series has continued to redefine the definition of the low-end sound reputation. It features three inches, high temperature, four layers, black Aluminium voice coil that can handle extreme power for long periods of time. Product dimensions: 15x 15 x 12 inches. Surround: High Roll Foam Surround. 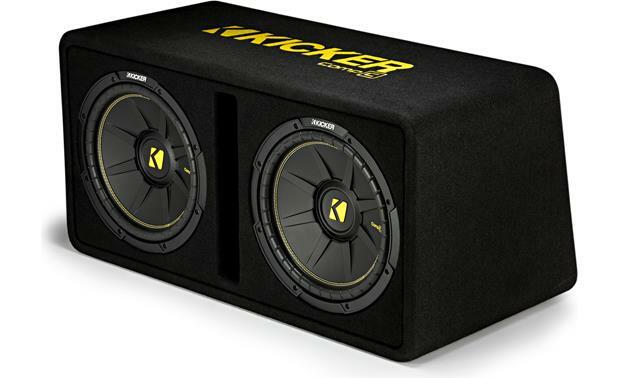 Kicker 44DCWC122 tops the list of the best car subwoofers. Some of the reason for it topping the list includes the bold look it has as well as the internal bracing for the additional support as well as strength. Power handling: 600 Watts RMS. Design: Ported enclosure with 2 12 inches CompC subwoofers. Frequency Response: 27 – 500 Hz. • It fits perfectly in the trunk. • Cranks out bass perfectly. If you want to be able to transform the car sound system, with the dedicated subwoofer to emphasize beats, as well as punches in music, above, are some of the best car subwoofers that you are going to find in the market. With the above details, it becomes much easier to be able to make the right decision.